Add some pastel tones to your wardrobe for the new season. 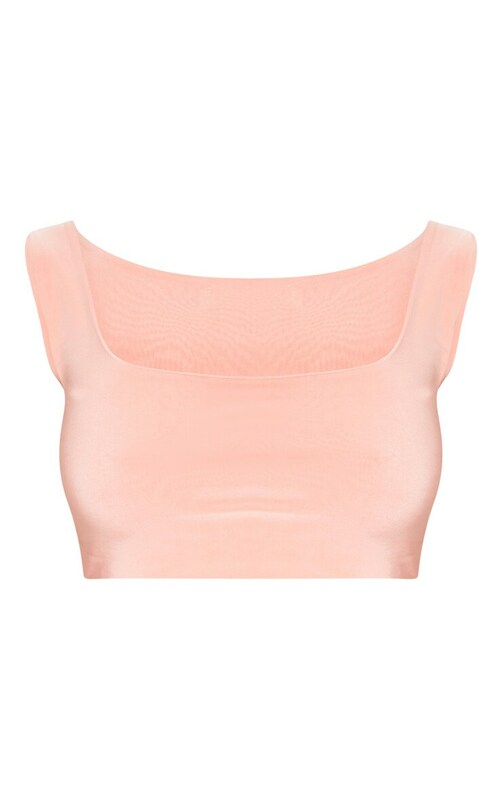 Featuring a peach slinky material with a square neckline and a cropped length. Team this with the matching skirt and sky-high heels for a look we are loving.